The South Korean branches of foreign banks here saw their net profit last year grow 27.4 percent from the previous year, on the back of robust interest income, according to tracking data from the Financial Supervisory Service released Tuesday. 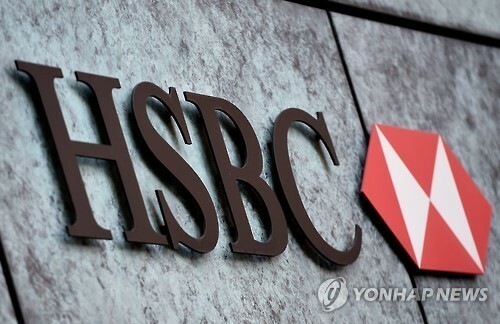 The 38 global banks operating here, such as HSBC Bank, raised 867.3 billion won ($764 million) in 2018, marking a 27.4 percent increase from 186.6 billion won recorded the previous year, the data showed. During this time frame, their interest-led income grew 1.1 percent to 1.74 trillion won. According to the FSS, the banks’ transactions with its global headquarters sustained losses of 869.1 billion won, but that loss was offset by robust Korea-derived interest income, which grew 21.8 percent to 1.9 trillion won last year. Meanwhile, the banks’ securities profit — which includes profits from trades and valuation gains — reached 461.5 billion won last year, moving into the black from a loss of 227.7 billion won in 2017. The recovery was attributed to a decline in the base interest rate that raised the valuation and profit margin of the securities owned by the banks. Profit from foreign exchange derivative transactions declined 8.7 percent from 852.9 billion won in 2017 to 778.2 billion won in 2018, due to a steep won-dollar exchange rate hike last year. Moreover, total assets held by foreign banks in Korea under consideration came to 274.5 trillion won last year, up 5.4 percent on-year, the FSS said. The Korean financial supervisor said the Korean branches of foreign banks have been seeing an overall rise in their assets and net profit, but are nonetheless at risk to macroeconomic risks and volatilities. Given such, the FSS cited plans to step up real-time monitoring of foreign banks’ capital procurement and operations methods, as well as to closely track changes to their profit-making structure. Foreign banks in Korea have been facing continued scrutiny over what many view as “excessive dividends” paid out to their parent firms, which do not reflect profits raised here. Last week, FSS Gov. Yoon Seok-hun agreed with concerns that Standard Chartered Bank Korea and Citibank Korea’s dividends were “indeed viewed as excessive,” pledging to work with the banks to stabilize the market and to take appropriate action. The remarks came during a general meeting of the National Assembly’s National Policy Committee last week, in response to a lawmaker’s claim that global banks owned by foreign entities were paying out excessive dividends. However, Choi Jong-ku, chief of the country’s top financial regulator Financial Services Commission, said that financial companies have the right to set their own dividend policies and they should be respected.